How much is Kenyon Martin Worth? Kenyon Martin net worth and salary: Kenyon Martin is an American professional basketball player who has a net worth of $60 million. 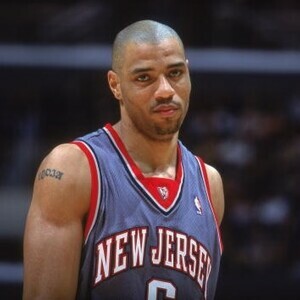 Kenyon Martin currently plays for the New York Knicks and has previously played for the New Jersey Nets, Denver Nuggets, and Los Angeles Clippers. He also had a brief stint with the Xinjiang Flying Tigers of China. 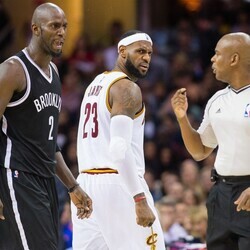 The 6′ 9 power forward was born on December 30, 1977 in Saginaw, Michigan to a single mother of two. His mother moved her two children to the Oak Cliff neighborhood of Dallas where she worked two jobs to support them. He stuttered as a child and attended three high schools in four years. He sought refuge in sports and major universities started showing particular interest in his skills as a basketball player. Assistant coach, John Loyer, of the University of Cincinnati recruited him hardest after seeing him play AAU ball after his junior year. He graduated from Bryan Adams High School in Dallas in 1996 and started school at the University of Cincinnati in the fall. During his college career, he played for the Cincinnati Bearcats under the direction of Bob Huggins. He remains the Bearcats' all-time leader in career blocked shots and field goal percentages, and the University retired his #4 jersey on April 25, 2000. Later that year, he was selected first overall in the 2000 NBA Draft by the New Jersey Nets; he is the last American-born college senior to have been the top overall pick. As a rookie for the New Jersey Nets, Martin was named to the NBA All-Rookie First Team and finished second in voting for NBA Rookie of the Year. In his second season, Martin helped the Nets rise from last place in the Atlantic Division to an Eastern Conference title and the best season to date in the Nets' NBA history. At the end of the 2003-04 season, Martin was traded to the Denver Nuggets for three future first-round draft picks in a sign-and-trade deal. Martin played in 70 games during the 2004–05 season, but a problem with his knee was detected shortly into the off-season, and Kenyon underwent microfracture surgery on his left knee. After his surgery, Martin missed 26 games due to knee tendinitis, but was able to return in time for the playoffs. During that playoff series against the Los Angeles Clippers, Martin was suspended from the Denver Nuggets indefinitely for "conduct detrimental to the team." During halftime of game two of the first round series, Martin got into an argument with head coach George Karl over his playing time, and refused to play for the second half of the game. During the offseason, Karl and Martin apparently "patched things up." Believing injuries were behind him, Martin learned the swelling now occurring in his right knee would require another microfracture procedure. In 2006, after playing two regular season games, Martin underwent his second knee operation in less than two years. Martin is believed to be the first NBA player to have, and to return from, microfracture surgery on both knees. Martin became an unrestricted free agent in the summer of 2011; however, due to the 2011 NBA lockout, he opted to sign a one-year contract with the Xinjiang Flying Tigers of the Chinese Basketball Association. He was granted early release from the Xinjiang Flying Tigers and in 2012, Martin signed with the Los Angeles Clippers. In February of 2013, Kenyon Martin joined the New York Knicks and is currently playing for the team.